Nomi Isak is the collaborative writer on Ellie Laks’s memoir, My Gentle Barn. Ellie Laks has always loved animals and from the time she could walk she headed into the woods daily to be with them, sometimes bringing them home—much to her parents’ chagrin. In 1999, Ellie founded The Gentle Barn, an animal sanctuary that rescues and rehabilitates severely abused and neglected farm animals. Once the animals are healthy, they help Ellie heal at-risk inner-city and special-needs children. 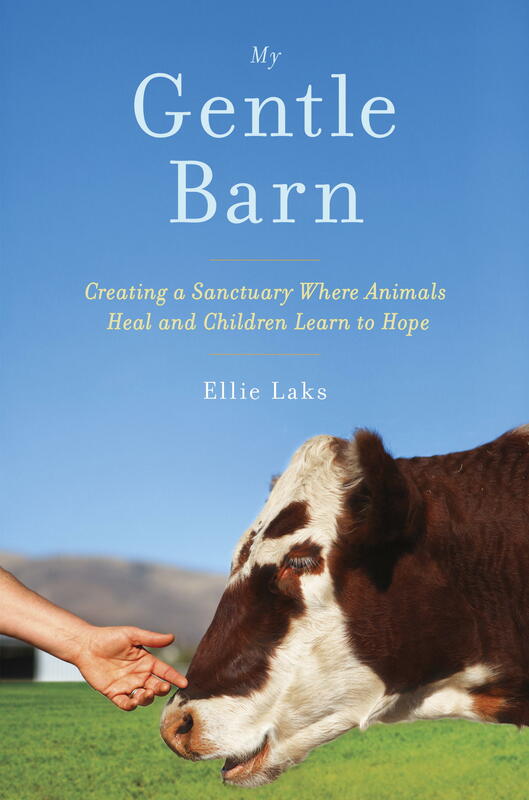 My Gentle Barn weaves together Ellie’s own journey with the story of how The Gentle Barn came to be what it is today. Filled with heartwarming animal stories and inspiring recoveries, My Gentle Barn is an uplifting account that will delight animal lovers and memoir readers alike. If you’d like to meet Ellie and have her sign your copy of My Gentle Barn, you can visit the Gentle Barn on Sundays in Santa Clarita, CA, from 10am to 2pm. To learn more visit The Gentle Barn website.